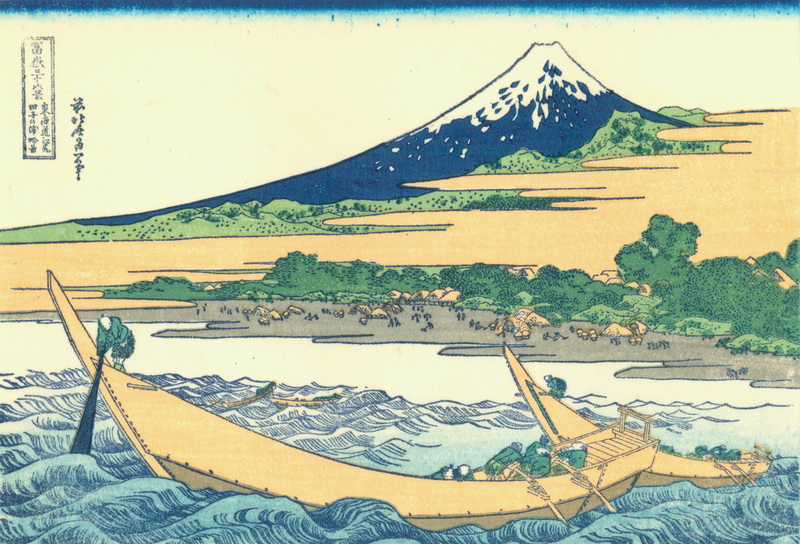 Katsushika Hokusai was a Japanese artist who specialized in woodblock printing. 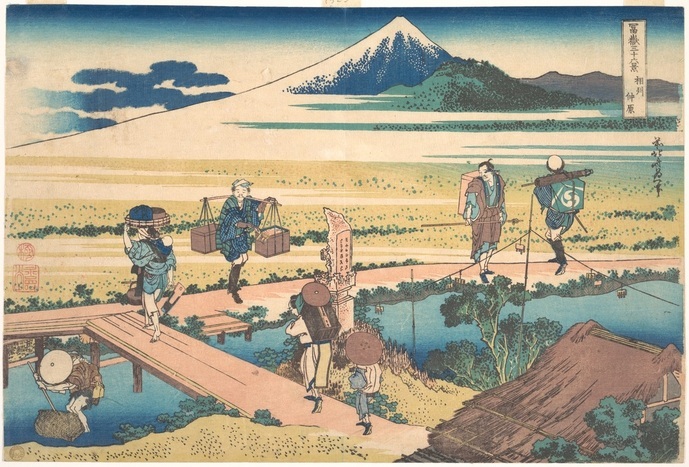 Hokusai was known by at least thirty names during his lifetime. 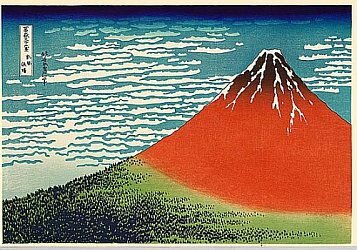 He is best known for a series of woodblock prints he created, Thirty-six Views of Mount Fuji. The series shows Mount Fuji from various places and viewpoints and through different seasons and weather. ​ Our artwork of the week is an internationally famous print from that series, The Great Wave Off Kanagawa, which Hokusai created during the 1820’s. Hokusai was a ukiyoe artist. 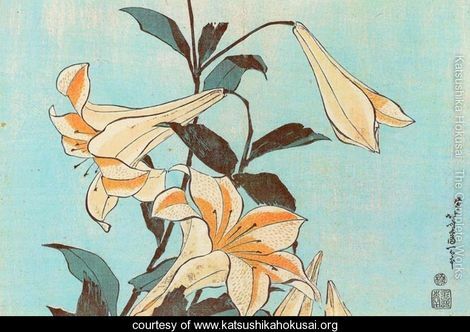 Ukiyoe were woodblock prints that were popular in Japan from the 17th through the 19th centuries. 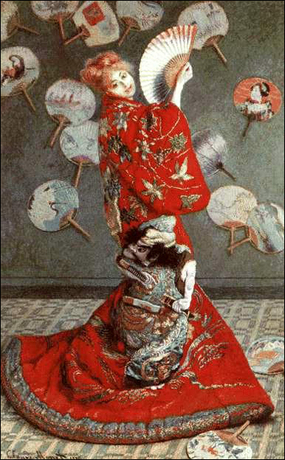 The prints often depicted beautiful women, kabuki actors, sumo wrestlers, and scenes from history or folk tales. 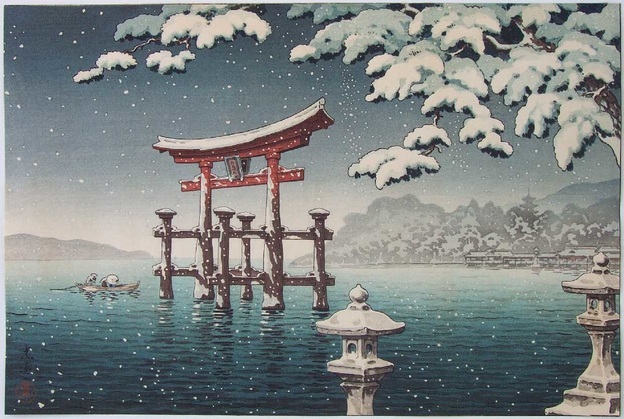 Travel scenes and landscapes were popular topics for ukiyoe prints. Our artwork of the week is a print. Under the Wave Off Kanagawa is better known as simply The Great Wave. 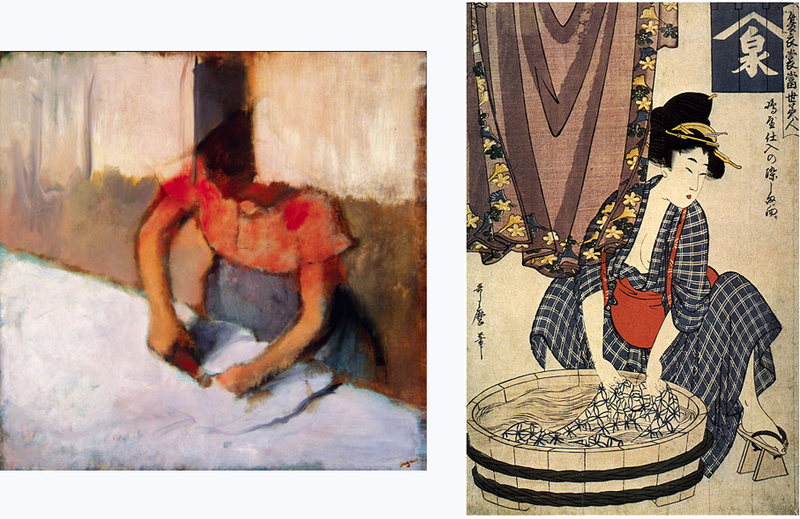 It is probably the most well-known piece of Japanese artwork in the world. The print depicts a huge wave that is about to come crashing down on three fishing boats and their crews. The wave is even bigger than Mount Fuji, which appears on the horizon. Hokusai was about seventy years old when he completed the picture. The Great Wave is a woodblock color print. 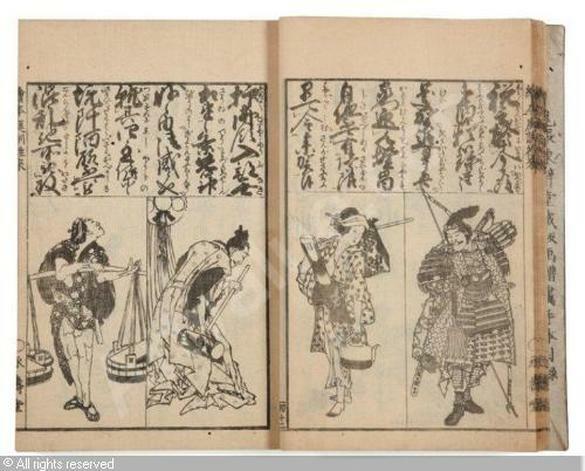 Thousands of copies were printed from the original woodblock and each one was sold cheaply. Today The Great Wave is one of the most famous images in the world. 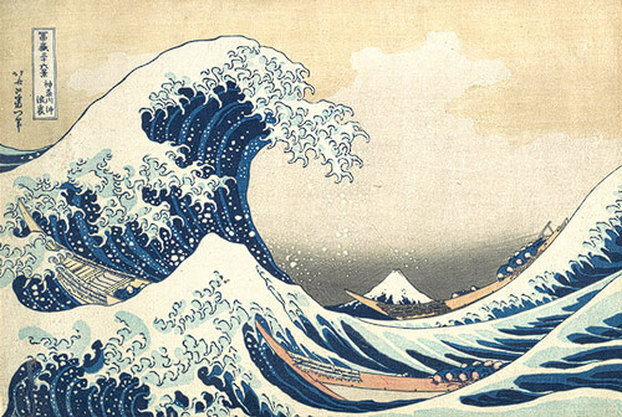 When Hokusai’s print, The Great Wave, was first created in 1830, Japan had little contact with the outside world. 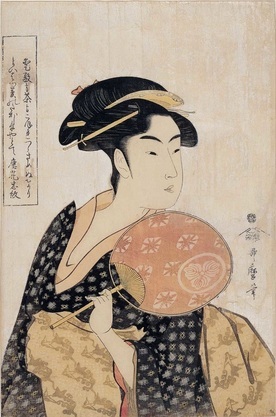 In 1859, Japan opened a few of its ports which allowed some ukiyoe prints to be exported to Europe. 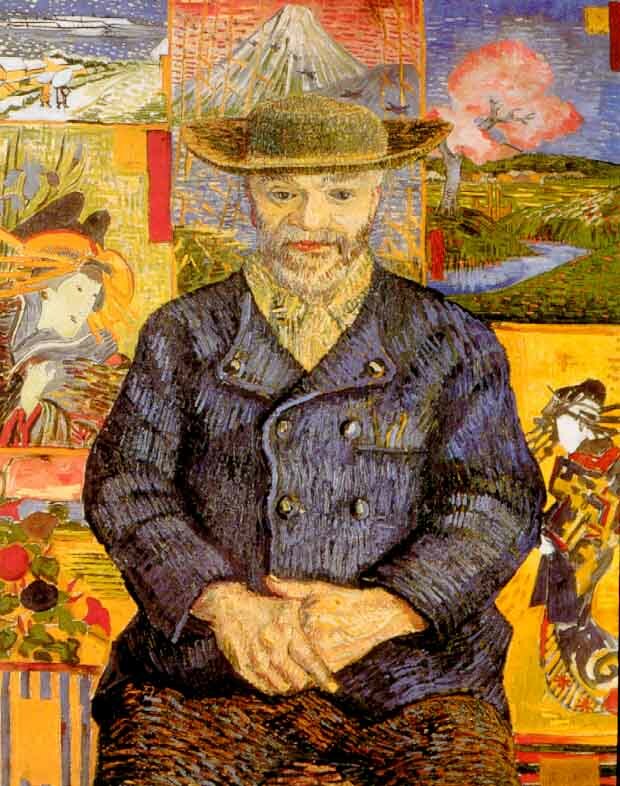 Many European and American artists became inspired by the prints. 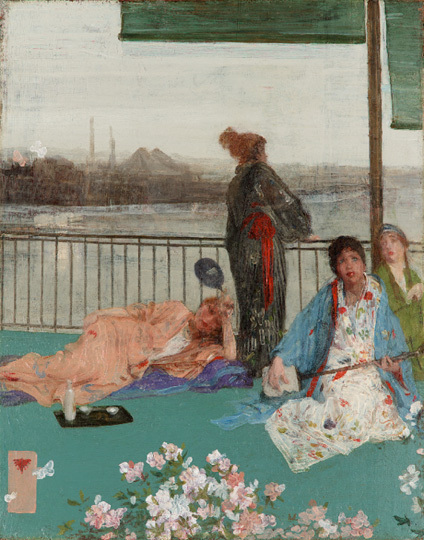 Whistler, Van Gogh, Degas, and Monet were some of the artists whose art was influenced by studying Japanese prints and paintings. 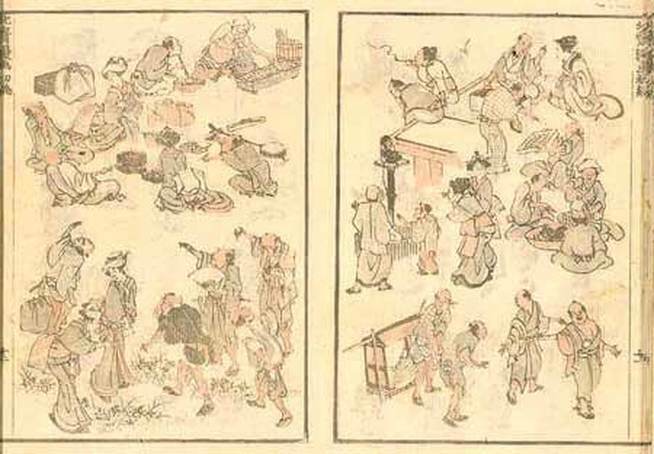 Hokusai published books of manga -- cartoon-like sketches or caricatures. 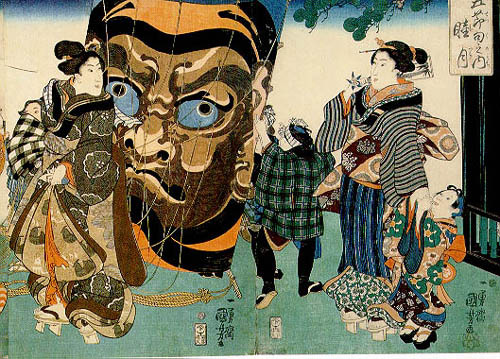 Hokusai’s manga influenced today’s modern form of manga comics. He published his first volume in 1814. 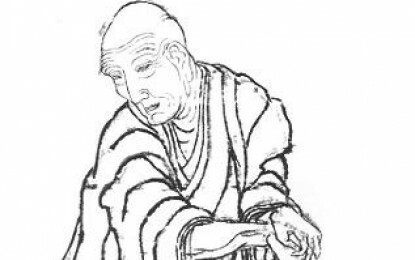 Altogether, he published twelve volumes of manga, and three more volumes were published after his death. 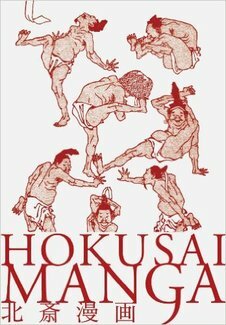 His manga books include thousands of drawings of animals, religious figures, and everyday people. They were filled with humor and were very popular with the people of his time.